Skip is sick, it’s raining and it’s my day off……perfect timing to cook up some delicious things! I’ve been craving some not so healthy items this week. With the wedding coming up – I’ve really been trying to keep it clean. If you know me though, I don’t believe in depriving oneself. Although I don’t usually eat gluten ~ remember, this is an “I’m indulging” post. Now, then. 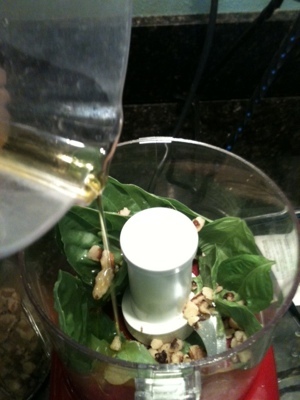 For the pesto: throw in some basil, pine nuts or walnuts in my case…add the EVOO & spin. 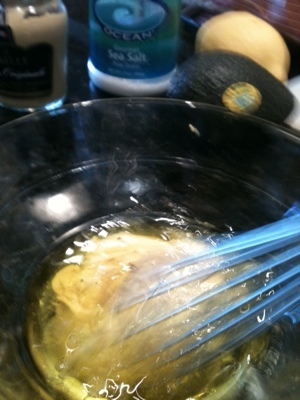 I add in avocado for a creamier pesto. MMMmm. Its crazy up in this biatch. Ok, slice up your baguette. 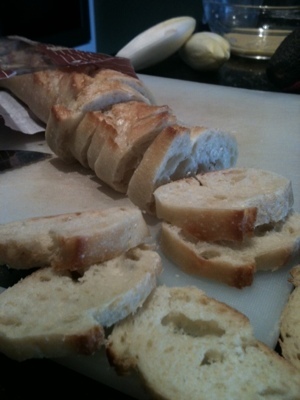 Brush it with EVOO & toast in the oven for a few. Go back to your crab dressing…give it a wisk. 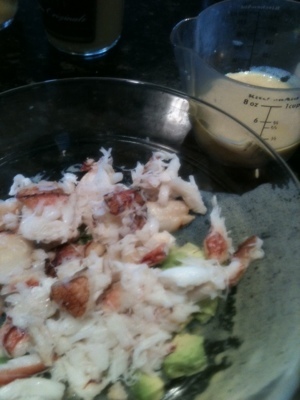 Add your crab into the mix and gently toss. 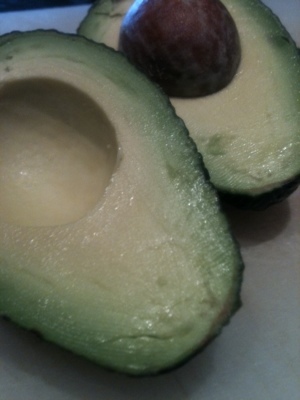 I can’t help but add avo here – look! So gorgeous!! 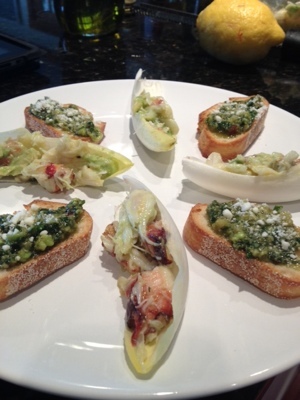 Spoon the crab mix into your cute little endive boats. 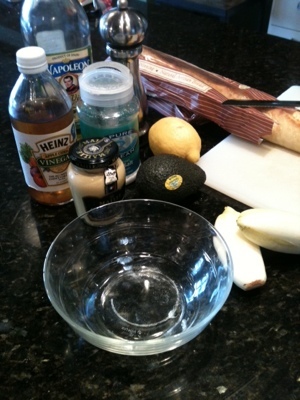 Dress your crostini & why not top em’ off with a little feta? These are definitely contenders! Crisp, light, fresh & totally satisfying. Cozying up for a movie. Hearts & tummy’s are full! 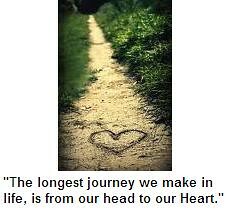 ‹ “Get Coached” – Are You Ready?